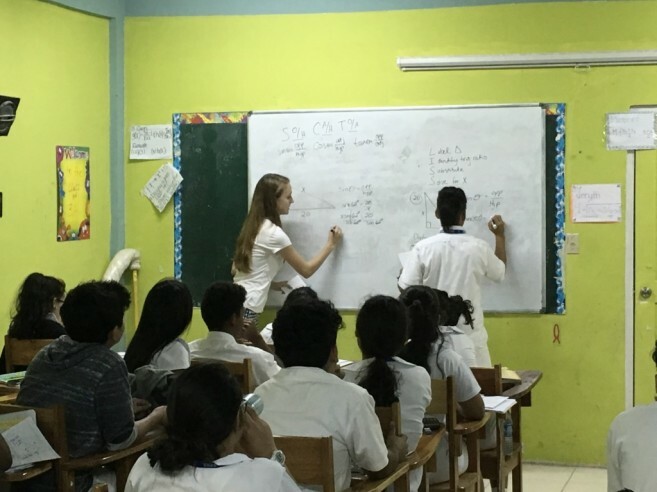 A group of seven students from the Christopher Newport University (CNU) in the State of Virginia, USA were on Ambergris Caye collaborating with local teachers for two weeks. 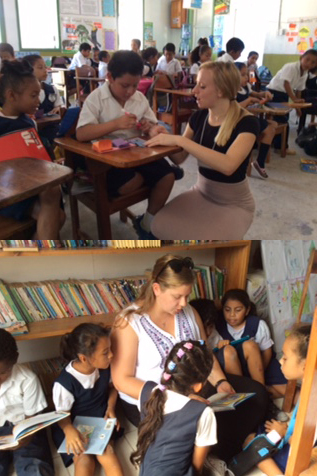 These students are in their final semester in their Teacher’s Education Master’s Degree program, and the trip to the island is part of their program’s requirement to engage in teaching activities at both primary and secondary school levels. Led by CNU professors Doctor Judy Pantelidis and Rita Kohr, the student groups have been coming to Belize for 11 years. Professor Pantelidis told The San Pedro Sun that they are pleased that their teacher- students are able to partner with Belizean teachers again. “Professor Kohr and I teach this class back at the University and at the end of the class, we come down here for two weeks, where students exchange teaching methodologies with the local teachers,” said Pantelidis. “When we first started coming, we used to work with the Holy Cross Anglican School and then branched out the San Pedro Roman Catholic Primary School (SPRCS) and the San Pedro High School (SPHS).” She stated that this year, they are only working with SPRCS and SPHS. The teacher- students were divided between the two schools. Six students stayed at SPRCS while one was at the High School. “The students are in the classroom with the Belizean teachers assisting them,” said Pantelidis. “The teaching strategies that we provide promote cross-cultural education, in that we learn from other countries, and other countries can also learn from us.” The teacher-students are required to go through the Ministry of Education in Belize, obtaining a teacher’s license during their teaching experience in the country. One of the students, Emily Garnier, is majoring in English Education, and she hopes to create a mini library with the teacher she is working with. She was also very excited to be part of this experience. “This is a unique experience, where we approach students with different backgrounds and experience teaching in another culture,” said Garnier. She indicated that working with Belizean students was easy and fun. “The students were well behaved and showed a lot of interest in the classes,” she said. Pantelidis is satisfied with the continued program between her University and the schools in Belize. She believes that such an experience is a plus for the student-teachers of CNU, who learn to engage students without the need for fancy gadgets. “It is a good opportunity for them to learn how to teach those with limited resources, while still achieving the expected results,” said Pantelidis. 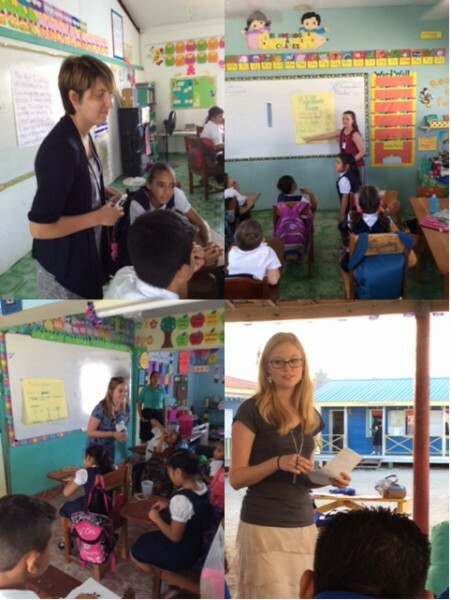 While in Belize, the group participated in workshops with both the primary and secondary school teachers. Pantelidis said that the connection between their University and the schools on the island have become so close that a group of past student-teachers have planned a visit in April of this year. “They would like to meet with the teachers they worked with when they took part in the program, and of course to enjoy the island and the Belizean hospitality,” ended Pantelidis. During their stay on the island, the group of students didn’t only interact with teachers and students, but with the community as a whole. They were delighted with the kindness of the residents, and thoroughly enjoyed the Belizean culture and gastronomy.